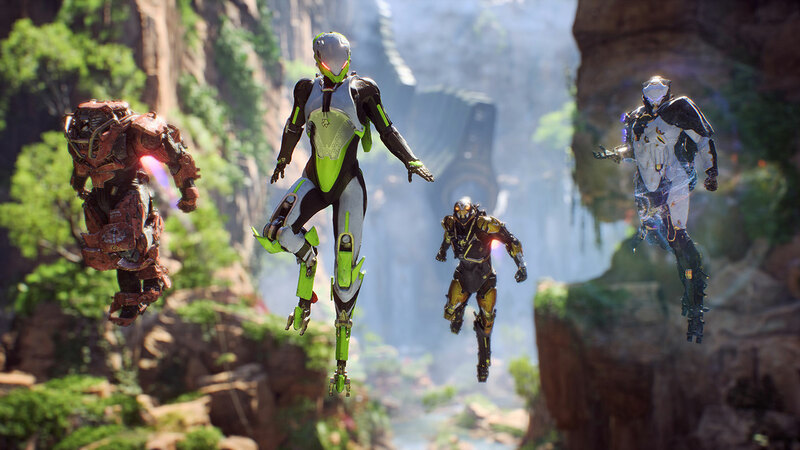 BioWare GM states that Anthem is a “specific thing” unique from other IPs. Recently, Anthem developer BioWare talked about how the game’s story-telling approach could influence future games in the Mass Effect and Dragon Age franchises. This was in regards to continuous story-telling after launch and having social hubs with more reactive story-telling. There was some concern over how much influence Anthem could really have on their beloved series. Hence, BioWare general manager Casey Hudson has taken to Twitter to clarify the same. He noted that when a Dragon Age game is designed, it will always be on the basis of how a Dragon Age title should be, while the same is, of course, also true for Mass Effect. “Some weird stuff going around about how our future games will be influenced by Anthem. Of course, when we do a Dragon Age game it will be designed from the ground up based on what Dragon Age should be. Same with Mass Effect…” said Hudson. Anthem is fairly different from anything BioWare has attempted till date, incorporating shared world stories outside of Fort Tarsis and a personal narrative for each player within its walls. We already know that the dialogue system only offers two choices in tota,l but the developer’s interest in growing the world over time (especially through seasonal content and free DLC) is intriguing. Time will tell how it all ultimately shakes out. Anthem is out on February 22nd 2019 for Xbox One, PS4, and PC. Anthem is a specific thing that’s unique from our other IPs in many ways. What carries forward is what we learn about game design, which is a constant evolution.